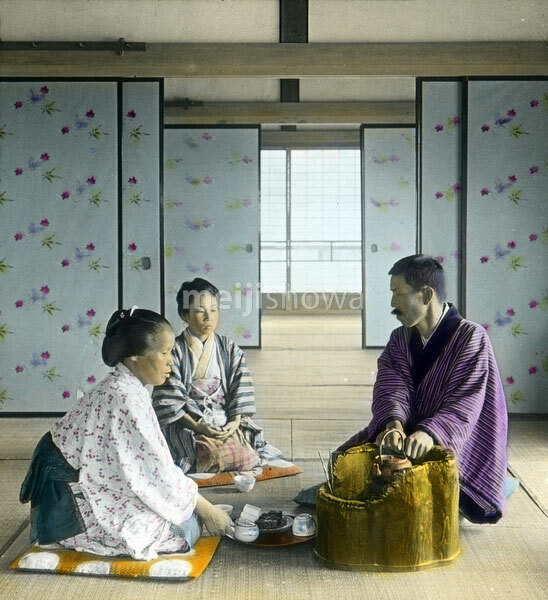 Two women and a man in traditional clothing are sitting on zabuton (cushions) on tatami mats in a large room divided by fusuma (sliding doors) at what appears to be an inn. The man is warming his hands at a beautiful wooden hibachi used for keeping the water warm. The woman in the front appears to be preparing tea. See blog entry.